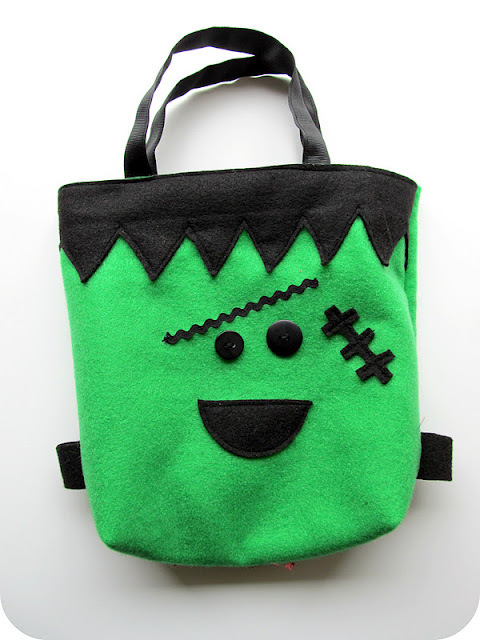 Time to Stitch Up a Trick-or-Treat Bag! October is here, and trick-or-treat time is right around the corner. If you still need to get a treat bag or two together, there’s plenty of time to stitch up a few, and we’ve collected some of our very favorite stitch-it-yourself tutorials. Enjoy, and happy haunting! Make a clever treat bag with this tutorial from Modern Domestic! 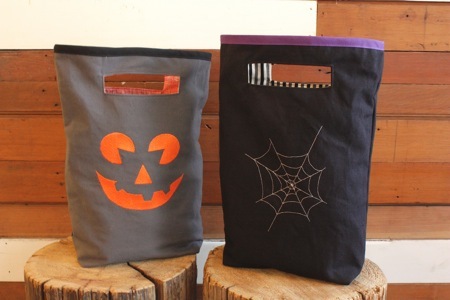 Stacy Schlyer’s Trick-or-Treat bag from right here at WeAllSew.com. Fishsticks and Fries created a Treat Bag Tutorial for a roomy bag with handy handles. 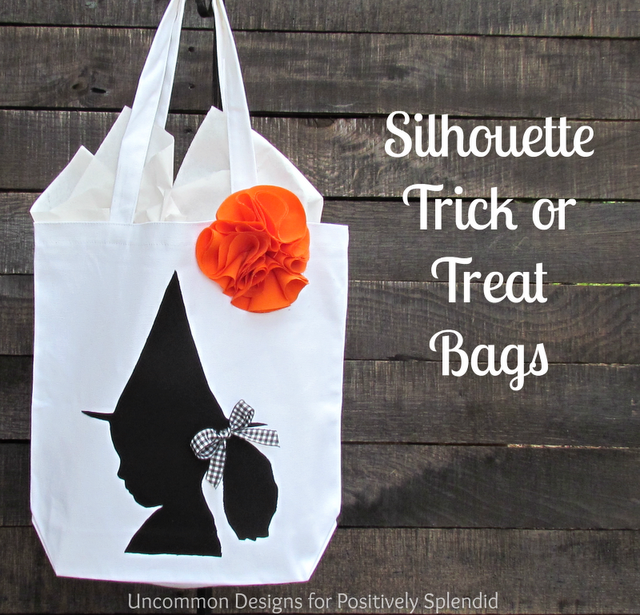 Create a unique treat bag with your child’s silhouette with Positively Splendid. 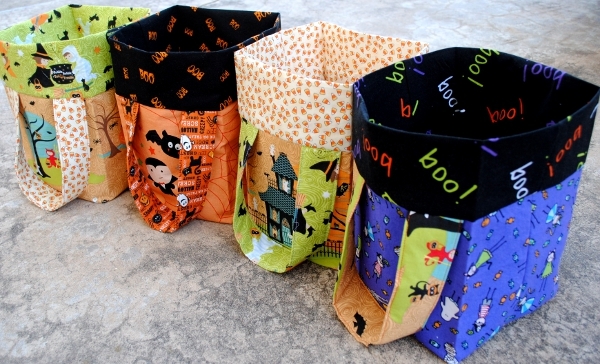 And, make one of three super spooky treat bags with Homemede by Jill! I made one for my granddaughter with old jeans and lined it with Halloween fabric. I kept the pocket for the back to hold a glow light. I embroidered a scare crow and then her name in glow in the dark thread. She loved it! I have been trying to make 3 with glow in dark and am having a lot of problems with thread fraying , any hints would be appreciated .